December is a time of giving and that’s just what we are doing this month at DutchNews.nl. We’ve got some great gifts to give away to several lucky readers. The Netherlands might like to consider itself a small country – a kleine kikkerlandje, as the Dutch are so fond of saying – but this is one mighty big book. Karel Tomei’s NLXL weighs in at a whopping 3.5 kilos but is such a joy to look at that you will forget the weight on your knees. 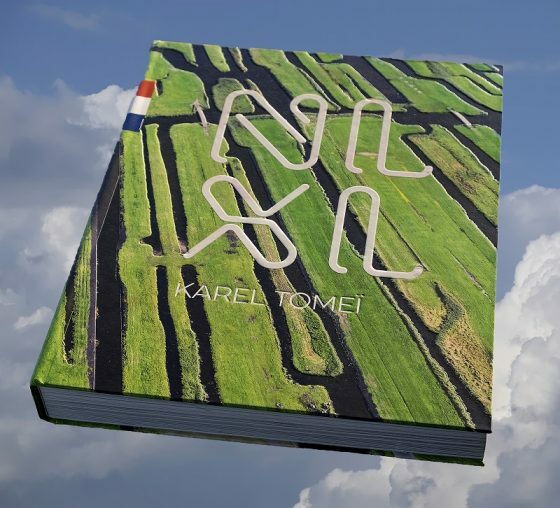 The book draws on the tradition of birds eye view paintings in which the world is captured from the skies: the intricate patterns of reclaimed land crisscrossed by ditches, the contrast between bulb fields and a golf course, great swathes of sand with a city in the distance, a drone’s view of a busy cafe terrace, the intricate carvings on the roof of a cathedral. But it’s the landscape that really rules NLXL – the Netherlands might be oh so very flat, but it still has amazing variation in its countryside – from the seaside dunes to the southern heaths, from the the seals sunning themselves on a sandbank to intricate cityscapes. NLXL will make a stunning, if heavy, present for anyone who loves the Netherlands in all its variations. You can buy NLXL at all good bookshops and online from Xpat Media but we’ve got one copy to give away. To win, send your best photograph (one photo only) of the Netherlands to info@dutchnews.nl and we’ll enter you in our prize draw. Put NLXL in the subject line of the email. 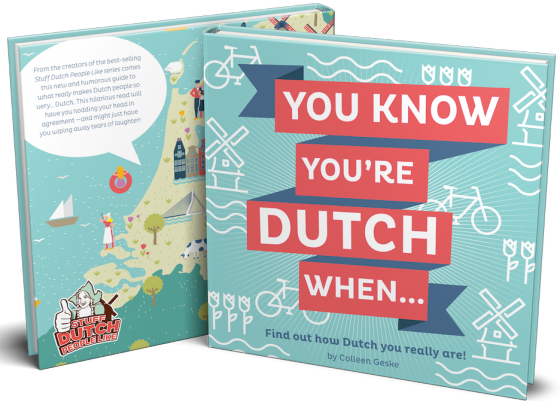 Find out how Dutch you really are with the latest book from the popular Stuff Dutch People Like stable. Do you think bicycle helmets are ridiculous, would you like Germans to stop digging holes on Dutch beaches and do you like chocolate sprinkles for breakfast even though you are an adult? Chances are, you really are Dutch. After a searingly funny look at Dutch culture, unraveling the mysteries of the language, praising Dutch motherhood and tickling your tastebuds with Dutch cooking, Colleen Geske turns her attention the key traits that separate Nederlanders from the rest of the herd. Lavishly illustrated and compact in size, You Know You’re Dutch When… is the perfect book to add to the collection of easy reading in that small room downstairs. You know, the one with the birthday calendar on the back of the door and the tiny sink with cold water. You can buy You Know You Are Dutch When.. online or from all good bookstores, but we’ve got five copies to give away. Tell us what Dutch quirk makes you laugh by emailing info@dutchnews.nl and we’ll enter you in our prize draw. Put ‘You know you are Dutch when’ in the subject line of your email. We are so happy that Vicky Hampton, our favourite Amsterdam foodie, has been branching out into other cities – her rundown of a weekend’s eating in Rotterdam is enough to make us all head for the port city asap. Vicky is no food snob and assessments of what and where she is eating are both down to earth and honest. We’ve said it before… she’s never let the DutchNews.nl crew down. Vicky has taken that same approach to lunch – cheap and cheerful lunch recipes for those who are sick of cheese sandwiches or can’t stand another wilted salad at the staff canteen. Soups and smoothies, delicious toasted sandwiches – surely every Dutch company office has a toastie maker – and a great selection of simple salads. If your staff kitchen has a kettle and enough space to fit a chopping board, this is the book for you. 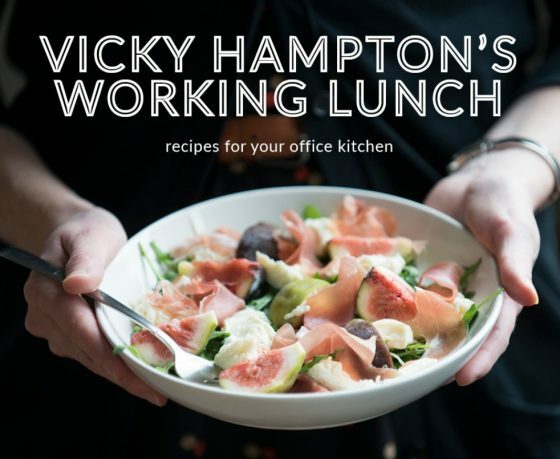 You can buy Vicky Hampton’s Working Lunch via the website bookshop or from online bookstores but we’ve got one copy to give away. Tell us about your favourite office lunch by emailing info@dutchnews.nl and we’ll enter you in our prize draw. Put ‘Working Lunch’ in the subject line of your email. If you don’t manage to win won of these wonderful books, don’t despair – maybe the best is yet to come. 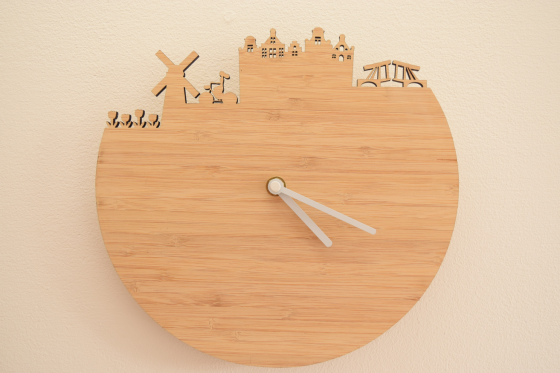 Who needs the ubiquitous Dutch agenda when you’ve got one of these bamboo wall clocks instead. Featuring canal houses, bridges, bikes tulips and windmills, we’ve got three to give away, courtesy of the team at Stuff Dutch People Like. Send an email to info@dutchnews.nl with ‘Clock’ in the email subject line and we’ll enter you in our prize draw. 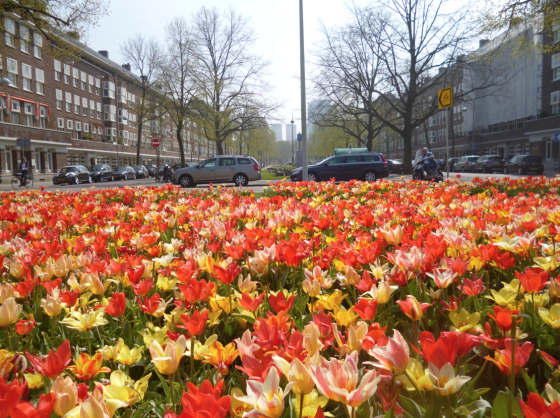 Our consolation prize – We’ve got five packs of assorted tulip bulbs to give away at random. Whether in a garden or a window box, plant now for a riotous display of colour in the spring. Prizes can sent to Dutch addresses only. DutchNews.nl may publish your photos and anecdotes on the DutchNews.nl website and social media platforms. Please submit one photo only. Please include your email address, name and postal address on your entry email.